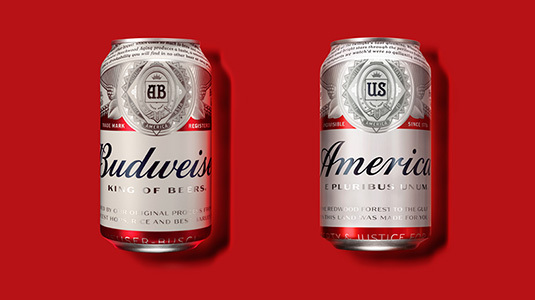 Ahead of the upcoming US election, Budweiser has given its packaging a patriotic redesign. 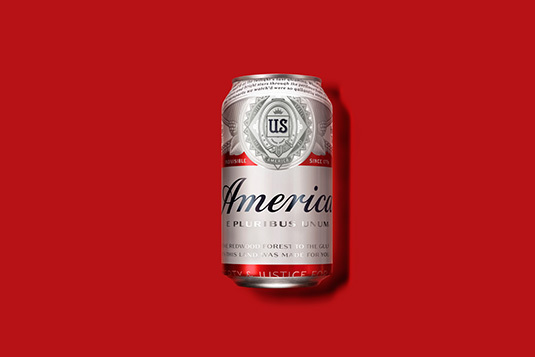 After giving their packaging design a retro rebrand in January, Budweiser are shaking their image up again for their “America is in Your Hands” campaign. 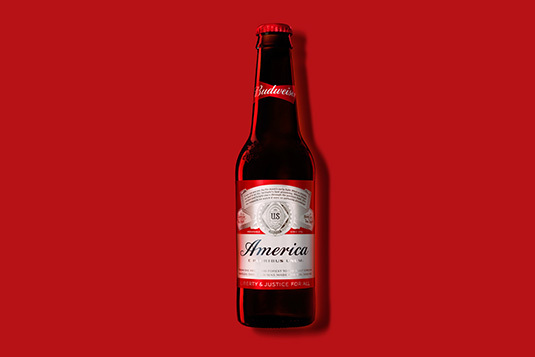 By replacing ‘Budweiser’ with ‘America’ and modifying the label to include phrases central to American history, the lager brand continues its tradition of creating patriotic packaging. The redesign will appear on Budweiser bottles and cans from May 23 and will stay in place through to the presidential election in November. The design, created in partnership with Jones Knowles Ritchie New York, aims to remind people of the optimism upon which the country was first built. “Budweiser has always strived to embody America in a bottle, and we’re honored to salute this great nation where our beer has been passionately brewed for the past 140 years,” says Budweiser vice president Ricardo Marques. The well-timed campaign will ride a wave of patriotic fervor as the summer of 2016 will coincide with the Fourth of July celebrations, the Copa America Centenario soccer tournament, the 100th anniversary of the National Park Service, and events to celebrate the brand’s six Team Budweiser athletes competing to appear in the Rio 2016 Olympic and Paralympic Games. Billboard adverts, murals and digital content will accompany the new packaging design, along with additional surprises to be revealed throughout the summer.